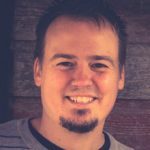 Andy Abramson gives you three key questions to consider when starting a college ministry in your local church. Several years ago, I attended one of the largest collegiate gatherings in Atlanta, GA. In between sessions, I overheard a group of college students and their leaders, who had been highly impacted by their experience at this gathering. They were in deep discussion how they could recreate their experience back in their college ministry. They were so excited and passionate about their new plan. In my eavesdropping, I found my frustration beginning to grow. I wanted to stand up and interject in this discussion and ask them to reconsider. Do you really have to resources to execute all that you have experienced these past few days? Would this even work in your context? Would this even fit into the culture of your ministry setting? I felt so frustrated by their conversation. Why would someone want to just copy and paste someone else’s ministry? As frustrated as I was, I began to realize that this experience was not uncommon. Often, we can be tempted to replicate ministries that we see in front of us or leaders we would define as successful. I understand the allure of replicating what brought someone else success. As our team has had the privilege to work with churches around the country starting new college and young adult ministries, we always push them to three important questions. Whether you are a church leader, looking to start a ministry, or a college pastor leading students, these are important questions to wrestle with as we design and execute ministries. These three questions allow us to look at some of the bigger issues that affect the work where God has called us. Do you remember the scene in The Wizard of Oz when Dorothy realizes that she is no longer in Kansas? I had those same feelings after leaving the west coast, where I had been involved doing ten years of youth and college ministry, and moved my family to a small town in Minnesota. After about 9 months in the Midwest, I felt like I had traveled to a different country. Because of growing up on the west coast, I was so unfamiliar with the way people thought, responded and their values. Over time, I began to learn the context I was in. I had to take principles of ministry and apply them into a different context. I’ve grown concerned over the last decade with the “Conference Revolution.” It’s not that I’m against conferences. I’m against our inability to take the principles from that conference and apply them to our context. We run away from these conferences with high profile speakers, in successful ministries and try to replicate what they are doing. As our team works with churches to launch college-age ministries, we ALWAYS help them understand their context. Doing college ministry on the west coast is different from the midwest. A city with multiple universities is different from a city with only a junior college. Regions can have different mindsets because of historic events that affected the people of that area. When we try to copy and paste other leaders methodology into our context, often we find ourselves frustrated by our lack of impact in making true disciples. As college ministers, let’s be committed to understand our context of ministry and do the hard work of applying the gospel to that context. 2. What Is Your Church Culture? When starting a college ministry, understanding your church’s ethos is essential. What is the church’s philosophy of ministry? What is the heart and passion of church leadership? I get saddened when I see college ministries that are siloed within their local bodies or when the college ministry functions separately. Does college ministry have a unique people group? Yes! Will ministering to college students have its own nuances? Yes! But while there may be a separate age targeted ministry to college students, we want those college students to be a part of the local church. We want the college ministry to be a part of the larger vision of the local church and significantly be a part of fueling that vision forward. Over the last several years, I’ve been more convinced than ever that our churches need college students involved in the life of its body. The church will thrive or suffer depending on the engagement of all generations. As college ministers, let’s be committed to understanding our churches culture and have the hard conversations of helping shape that culture rather than separating ourselves from the rest of the ministries. Our independence as Americans really hurt us as ministers. Many of us can have this cavalier attitude that causes us to launch out on our own. We ask churches who are starting a ministry to answer this essential question — “Who is your team?” This question comes from the foundational belief that doing ministry together is always more effective than doing it by ourselves. Over the last 20 years of doing college ministry, I’m so thankful for the giftings and passions of other leaders. I can’t tell you how many times other people’s insights have prevented me from making the wrong decision. We need each other! The Bible talks about us being a body, all having different gifts and passions. One of the best stories to illustrate this, is the conversation that Moses has with his father-in-law Jethro in Exodus 18. After watching him all day, he says “What you are doing is not a good! You are going to burn yourself out.” His advice for him to share the leadership with capable people. He explains that the sharing of leadership would lighten the load that Moses was carrying. So many times, my comments to college ministry leaders that are not inviting others to share in the load of ministry is, you are going to burn yourself out. What you are doing is not a good. As college ministry leaders, let’s be committed to building teams that lead our college students. What would it look like if we had college ministries all over the country that understood the setting that God has called them to be a part of? What if we were committed to not just copy and paste someone else’s ministry but were willing to do the hard work to implement principles into our settings? It would be so fun to see the vast array of college ministries around the country with differently gifted leaders, ministering in the places that God has called them to be a part of! Let’s be honest, building teams, building ministries within our churches culture and understanding our context is challenging work. But I’m convinced more than ever, that the fruit that it will produce will cause us to be more effective, making more disciples and reaching more college students. Let’s do it!